The furious expansion of a huge, billowing pair of gas and dust clouds are captured in this NASA/ESA Hubble Space Telescope comparison image of the supermassive star Eta Carinae. 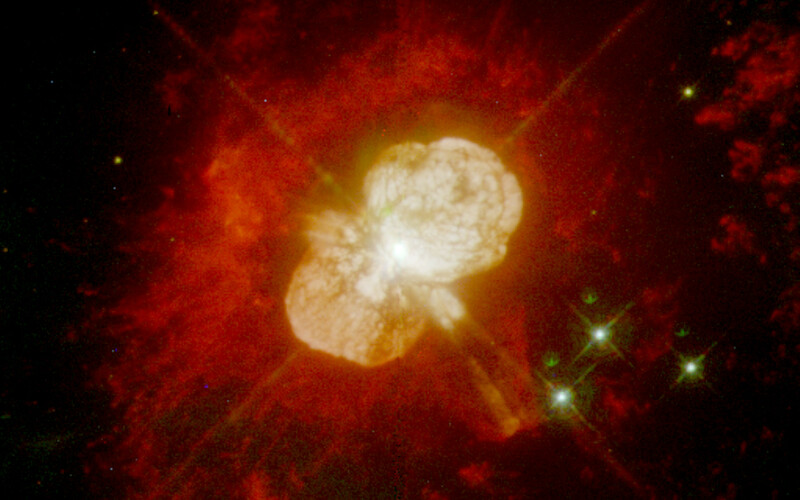 Even though Eta Carinae is more than 8,000 light-years away, structures only 15 billion km across (about the diameter of our solar system) can be distinguished in this sharp Hubble image. 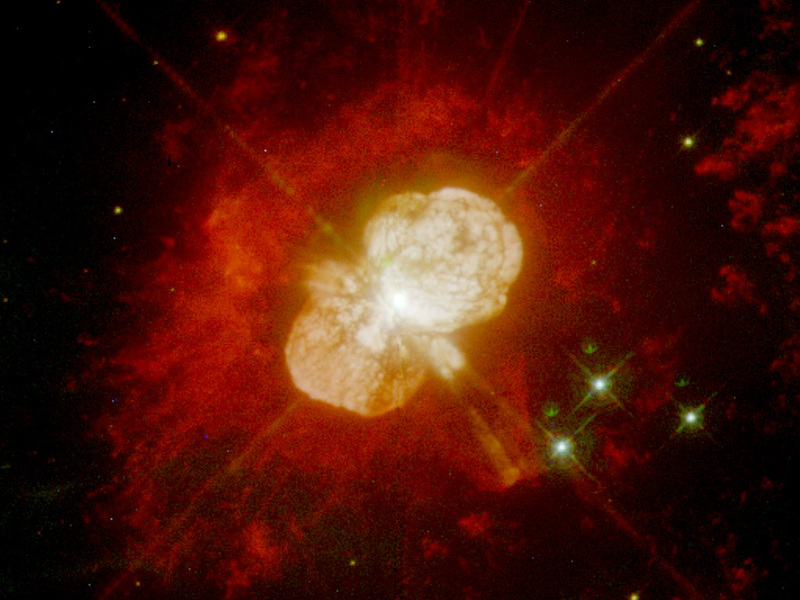 Dust lanes, tiny condensations, and strange radial streaks all appear with unprecedented clarity. 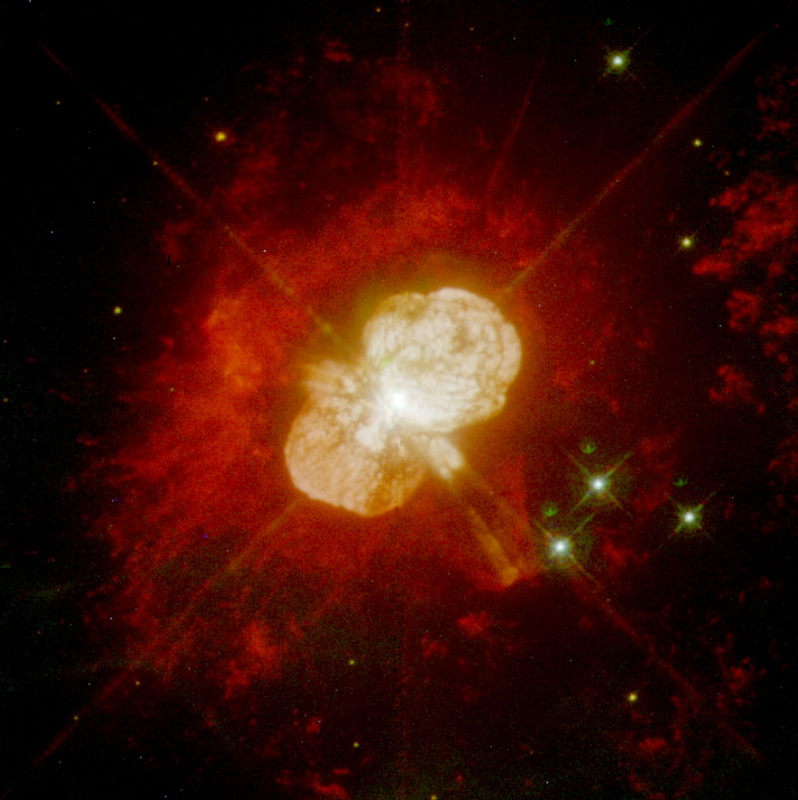 A NASA/ESA Hubble Space Telescope "natural color" image of the material surrounding the star Eta Carinae, as imaged by the Wide Field Planetary Camera 2 (WFPC-2). Position (Dec): -59° 41' 4.97"